Home Finance How Outsourcing of Accounting Work Can Assist Companies? We offer outsourced accounting services for them to forget all the worries and focus on their core business. Secondly, many small businesses, entrepreneurs and start-ups, find it tough to hire someone with the precise skills to work on their company’s financial statements, handle bank account operations, do the analysis of their financial data, and prepare the financial invoices on a daily basis. It has become a challenge to find a competent and qualified person at the reasonably priced rate. Thirdly, even though it is normally believed that accounting and bookkeeping must be done in-house. It is key to ask yourself, whether you have the required skills, experienced team and enough time to execute this job. 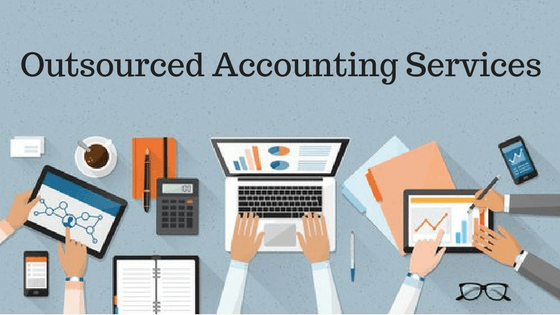 Due to this fact, it might be worth to outsource accounting services to a company or individual who has the correct knowledge, qualifications and skills, who can do the same job in a more improved and in cost effective ways. An outsourcing partner can deliver better results at minimum costs, while letting you to concentrate on improving of your main business domain areas. Why should you consider to outsource accounting? Companies have achieved results without affecting or having any of the adverse effects on their employees, business, and the clients. These days offshore companies provide a broad range of accounting services to make sure that you have tax-ready financial statements when you require them. By choosing a right partner, you can access to bookkeeping and accounting solutions competently delivered with maximum confidentiality and security with a minimum turnaround time. We have accounting and bookkeeping outsourcing services for accountants and CPAs as well. As with years of experience in the same domain these firms better understand the customers precise requirements and provide a customized solution that best matches to their customer’s different business needs. Get instant access to customised solutions. The services include preparation and upholding of daily bookkeeping and monthly or quarterly accounts related work. Our accounting experts use best accounting software’s like Intuit, QuickBooks and Peachtree (Sage 50 US) to make sure data accuracy and swift results. This comprises of preparation and management of sales tax, periodic tax and returns. It facilitates tax processing and planning, tax returns preparation, quarterly returns and all the filings. Other services include payroll services, cash forecasting solutions, analysis of the cash needs, debt collection, assistance in taking legal actions, assistance with making payments to creditors, cash handling services, treasury functions, monitoring of high-interest deposits, handling current accounts, E-accounting services, Accounts Receivable Management and the accounting setup services. These outsourcing companies are domain experts and can help you achieve your business goals with their different accounting setup solutions as per your requirements. Why to have outsourced accounting department? Client relationships can grow because there are increased interactions and the company is able to maintain confidential information. Because of the trust formed, the relationship may lead to other services like high-end CFO advisory services. It can also lead to a downfall on the company’s resources if it is executed without a planned structure. If these 4 things work well for your company, your decision will turn fruitful. Once you have made a firm decision, the subsequent step should be to select a right outsourcing company that will be a best fit with your requirements, goals and the objectives. However, most significant would be the ability to match your business needs. We believe, the excellence in performance and effectiveness to deliver the best services must be the top most priority. Lastly, it is needed to be taken care of outsourcing service ­affects on your business, your employees and most vitally on your customers. A fair number of start-up owners resort to undertaking bookkeeping themselves. After all, hiring a full-time, in-house accountant can be unbelievably expensive! While outsourced accounting has been the go-to option for many businesses, for those just starting out, taking on the accounting part is a tempting challenge. 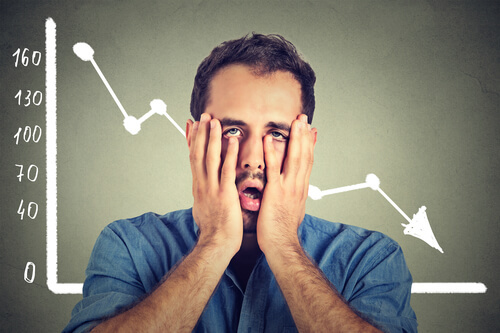 As a business owner, if you too have been taking care of your business’ finances and accounts yourself, it’s time to realize that you’ve got a bit too much on your plate. But outsourcing accounting services is not as easy as it seems: one wrong turn and you could be setting your company up for loss! Don’t let this worry you though; we’ve rounded up some common mistakes business owners make when outsourcing accounting services. Hiring an outsourced accounting firm that has been referred to you by a friend or a relative is certainly a bad idea, that is, if you don’t shop around first. Just because they’re good for someone you know, doesn’t automatically make them the best outsourced accounting provider for you! Even if you do zero in on the best accounting outsourcing firm, it’s advisable to take some time out to research other firms. Compare services provided by each firm, go through client testimonials and reviews, and check the company’s track record. While the primary motive of most companies by outsourcing accounting services is cost saving, picking a firm that provides such services for the cheapest rates might backfire. Sure, you’re looking to outsource so you don’t have to bear the costs associated with hiring a full-time employee, but bear in mind that low rates often translate to less efficiency. Refrain from compromising on quality just to save money! Plan your budget well and stick to it so you don’t make the mistake of hiring an accounting firm that lacks the set of skills you need. Transparent communication is the key to a healthy relationship, and a service like accounting, that needs a sort of intimacy with your business, can only work for you if there is clarity at both ends. Right from the start, be honest to your outsourced firm with regards to your needs and the current state of your books. Be sure to disclose all relevant and necessary details to your accountant- this will help them identify problems that need fixing and come up with the right solutions for all your accounting issues. Remember that the goal of communicating well with your outsourced accounting firm is to have a clear understanding of where your company stands and what can be done for the future! Cultural differences can lead to misunderstandings, and a huge time difference can impact relationships negatively. As such, before finalizing everything, do give a thought to where your outsourced firm is located. Note that it might be cheaper to outsource accounting services, but hiring a firm that’s based in a different country might not be a beneficial move. Culture standards can vary significantly and your team’s learning curve can cost you valuable time and money. Outsourcing accounting services doesn’t mean that you will have a team that is fully equipped with the knowledge and skills necessary to help you sail through all difficulties. Skilled individuals might need to undergo training for particular projects! Moreover, if you make the wrong choice, you’re bound to face issues at later stages. For example, CPA firms have well-trained accountants and focus on audits or tax write-ups and financial advisory services. If you hire a CPA firm, your company will only benefit if the former has expertise in processing large volumes of accounting transactions in an efficient and timely manner. It goes without saying, sending sensitive financial and tax information over e-mail carries an inherent risk. But it’s no use stressing yourself out over this- just get a secure channel to manage all your documents! Cloud-based accounting software allows you secure and quick access to all your finance-related documents, giving you the chance to make your office paperless. Such software lets you attach scanned receipts, spreadsheets and documents to stored files easily, helping you stay organized. Did you know that 40% of entrepreneurs spend more than 80 hours each year just managing their finances? Don’t be that entrepreneur, put your time to better use by outsourcing your accounting requirements! With the information provided here, you now know what rookie mistakes you need to steer clear of while outsourcing. So weigh your options well and make the right choice! Thanks for sharing your article about how outsourcing accounting work can assist companies. Your statement about how you can concentrate on improving the development of your business while allowing an outsourcing partner to deliver better outcome caught my attention. For me, bookkeeping may be a time-consuming job which can hinder you to focus on your main business. A friend of mine is looking to own a shipping company, so she’s looking for her options on getting a bookkeeper. I believe that outsourcing will make sure that the job will be delivered correctly while giving her enough time to focus on the business. I will make sure to share your blog with her so she can get some tips. Thank you Maria. I would appreciate you sharing our blog.